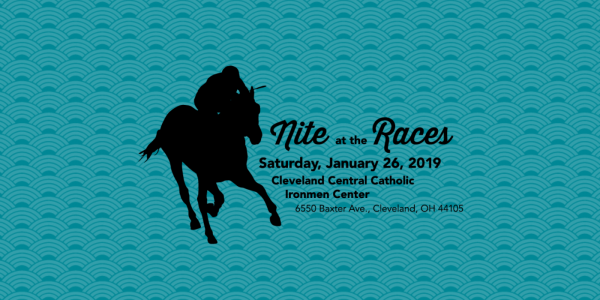 Slavic Village Development’s annual “Nite at the Races” returns on Saturday, January 26th, 2019 at our NEW LOCATION, Cleveland Central Catholic’s Ironmen Center (6550 Baxter Ave) in Cleveland’s Broadway Slavic Village neighborhood! Never been to a “Nite at the Races” before? At SVD’s annual fundraiser, party-goers enjoy an evening out with friends while enthusiastically betting on video recorded horse races. Trust us, it’s more entertaining than it might sound. The food is plentiful and the beer flows freely (unlimited with ticket); never has there been a better combination for gambling. BONUS: it’s for a good cause–to support the work of Slavic Village Development! Catering will again be by Slavic Village’s own Saucission, so come hungry for more than rowdy horse races. For more information contact Joe Linsky at 216-429-1182, ext. 130; or you can e-mail him at joel@slavicvillage.org. Tickets are $25 per person. Only 270 tickets will be sold.